The Bermuda Monetary Authority has noted that Bermuda was named in a European Commission Delegated Decision adopted on Friday, 5th June. It will now be reviewed by the European Parliament and the Council. Within that Delegated Decision the insurance regimes of Bermuda [excluding captives], Australia, Brazil, Canada, Mexico and the United States were recommended for ‘provisional’ equivalence with Europe’s Solvency II Directive. 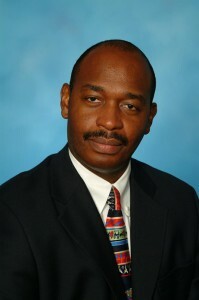 Jeremy Cox [pictured], Chief Executive Officer of the Authority said, “This is good for Bermuda, but it is not the complete and final result we seek. “The Authority has an unreserved commitment to achieving full equivalence with Solvency II. It is essentially a timing issue. The European Insurance and Occupational Pension Authority [EIOPA] had earlier in the year recommended Bermuda for equivalence, but with certain caveats. “Today’s announcement is by no means the end; this is a phase of the journey. As noted in the Delegated Decision, further special reviews, outside the proposed reviews are intended to take place,” Mr. Cox said.